Another stop on the tour I did with Ed Bearss earlier this month was the battlefield of Ball’s Bluff. 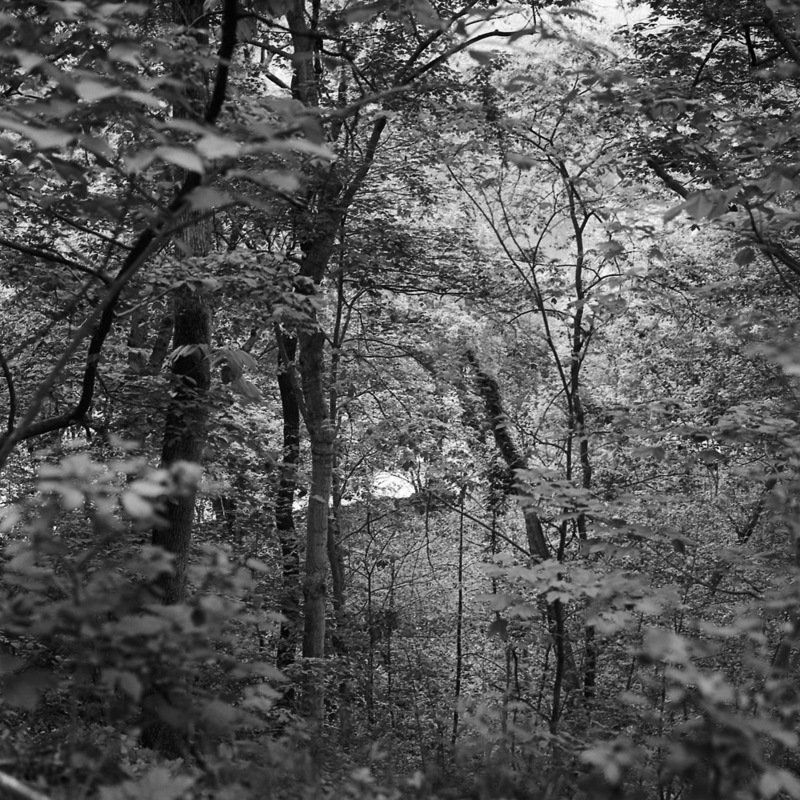 Ball’s Bluff was a very significant early battle in the Civil War – while in the grand scheme of things a minor engagement with a total of three hundred or so Union casualties (including drowning deaths of soldiers trying to escape the Rebel onslaught across the Potomac River, swollen with recent rainwater), the Union loss and its aftermath (bodies of soldiers who drowned fleeing the battle washed up in Washington DC and as far south as Fort Washington, some 60 miles downriver) were shocking enough that they triggered the formation of a joint committee comprised of senators and congressmen, the Committee on the Conduct of the War. This oversight committee was empowered to investigate not only the military but the executive branch up to and including the President himself. Today, while the cemetery itself is administered by the Veterans’ Administration and is a National Military Cemetery, the parkland surrounding it is not US Park Service property but instead is a joint program of local and regional governments and non-profits. There is a 1970s subdivision built right up against its southern edge, which you have to drive through to get to the park. This is a view down Ball’s Bluff – some three hundred feet tall, you can see the river as a bright patch in the lower center of the image. Many of the Union casualties were chased down this cliff face by charging Rebel soldiers and plunged to their deaths. The photo doesn’t do justice to the steepness of the cliff face – that would be a truly terrifying predicament – leap or fall over the edge to break your neck if you’re lucky, or get shot. Here is the gate to the cemetery – one of the smallest in the National Military Cemetery system. Fifty-four are buried, with twenty-five markers. Only one is known. The cemetery is closed to new burials, for rather obvious reasons. 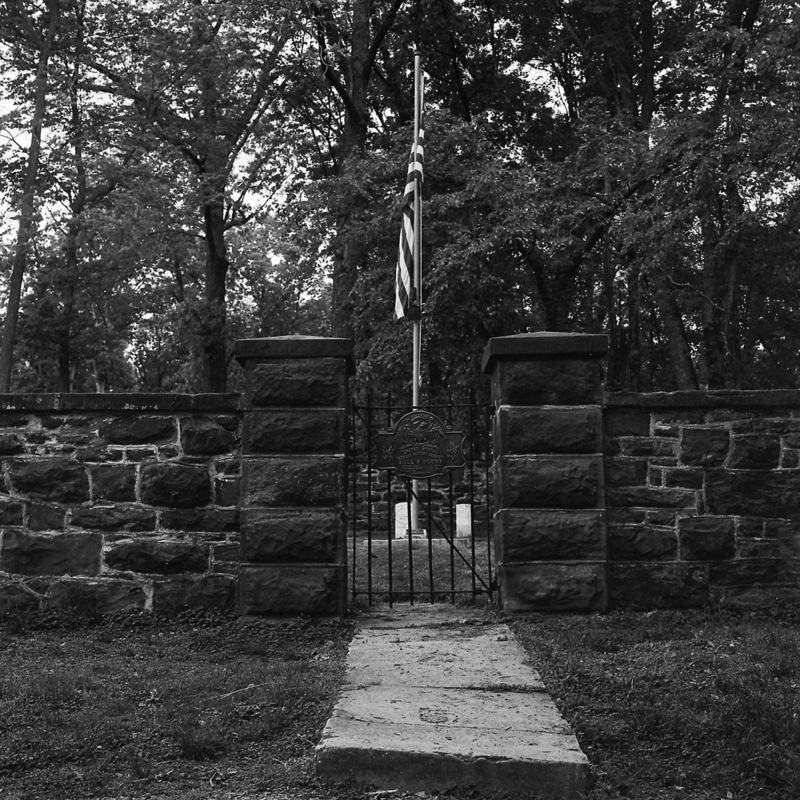 There are two markers outside the cemetery where a Union commander, Col. Edward Baker, and a Southern infantryman, Clinton Hatcher, were killed, but neither are interred in the cemetery or within the park. 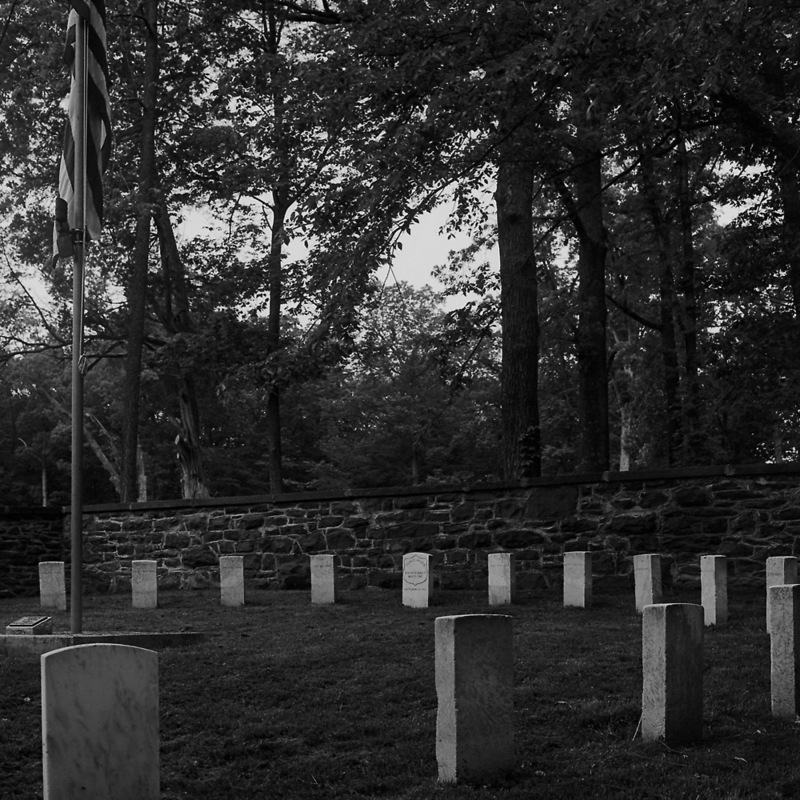 The cemetery itself is a very simple design, with the headstones laid out in a semi-circle around a flagpole, enclosed by a wall of Seneca sandstone, the same stone used to build the Smithsonian Castle. A close-up of one of the headstones for the unknown dead buried within. This in a way closes a loop in my antique image collecting. While I don’t actively seek out Civil War soldier images, as they are highly sought after and very expensive, especially when the subject is identified, the graves of the unknown soldiers are a reminder of why so many soldiers at the time had their portraits made. Not only to send home to loved ones out of pride in their profession, but to help provide a means of identification should they be killed in battle, in a day when the dog tag had not been invented, nor DNA profiling or even dental records. 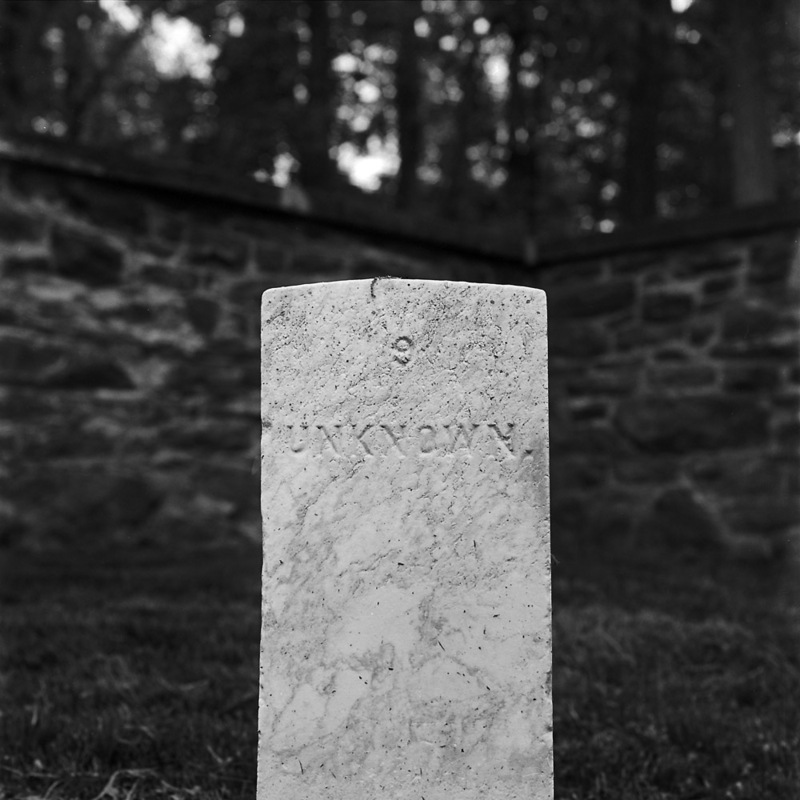 Today, the unknown soldier is almost impossible, but back then, an all too frequent reality. When you were killed on the battlefield without any form of ID, and the battle lasted for several days, and your body lay in the sun as it ripened and rotted, and maybe there was no good way to get your body back to civilization at the time of the battle, you could end up not buried, or just dumped in a shallow grave for sometimes years. There are photos of burial parties at Cold Harbor where formerly enslaved black men are collecting remains for inclusion in the cemetery, and they have a cart full of skeletons.